When you think of Nokia you think of a phone with classic navigation through menus that have barely changed for years and classic looking, slim handsets such as the Nokia 1100. The biggest seller of all time, the 1100 has sold over 200 million units worldwide since its 2003 launch. Nokia is by far the world's largest manufacturer of mobile devices with a 33 per cent market share, and while it lags behind on smartphones, the consumer-focused N and more purely business-orientated E series are both big sellers. 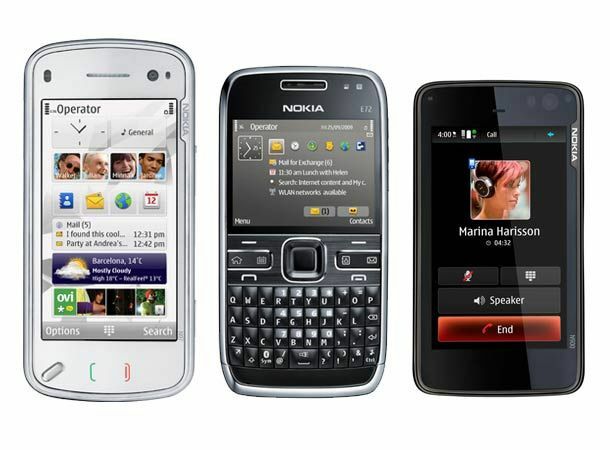 Nokia's best handsets are as solid as they are ubiquitous, with Symbian the most-used OS worldwide. The N series was the first to offer a good quality camera, music and video playback and GPS navigation, all on a decent-sized screen, in addition to all your old-school phone features, and the most recent N97 remains a solid all-round smartphone. The handsets have looked and behaved the same for many years and the likes of the N900 seem incredibly clunky compared to sexier alternatives from Apple, HTC and RIM, so Nokia's success is based more on consumer loyalty than innovation. Following the herd, Nokia has introduced touchscreens to its range but the Symbian OS as it stands is not suited to touchscreen use. Nokia needs to get the message that web browsing, networking, plenty of quality apps and a sublime user experience are now more important than familiarity and a camera with a Carl Zeiss lens. You don't like to faff. You've always had Nokia and you always will, because it's reliable, gets the job done and the camera's usually pretty good too.